No battery required. 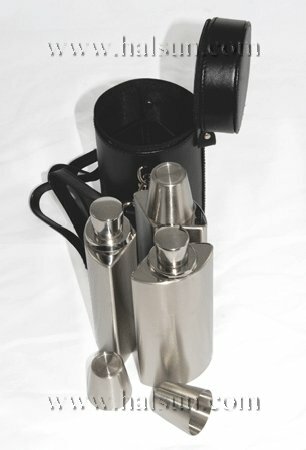 Portable mechanical luggage scale. Simple and easy. No need to worry of out of battery. 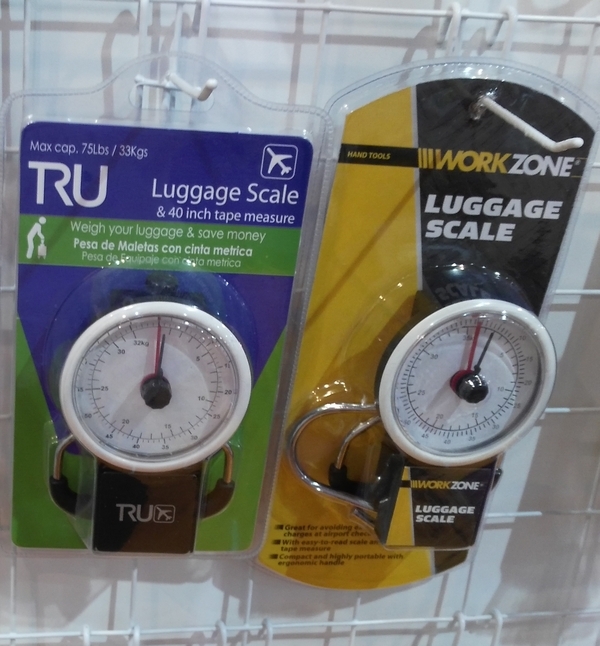 Avoid unexpected overweight baggage charges with an easy-to-use Portable Luggage Scale. Weigh your luggage before you even reach the airport, so you can pack and plan accordingly. 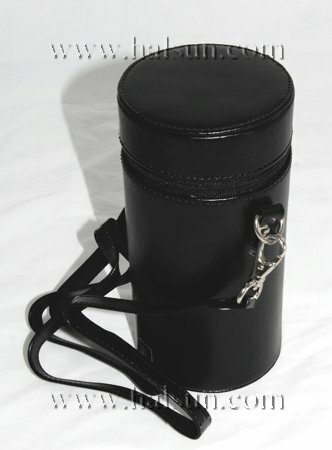 This portable luggage weighing scale is ideal for frequent business travelers and one-time sojourners alike The device features an ergonomically contoured open-loop design that fits easily onto the handle of most standard suitcases, along with a sturdy, chrome-plated steel baggage hook for secure lifting. The advanced compact luggage scale has an easy-to-read display, mechamical structure inside, no battery is need. Make your next trip through the airport security line a little less stressful with this portable luggage scale that quickly calculates precise weights up to 75 lbs. Put your custom company logo on those portable mechanical scales, as the scale is very helpful to your high value business client, thus your company logo will show up every time they use them! The most convenient reference guide available – the Periodic Table Pen. This pen holds a double-sided, updated Periodic Table. The back side is a handy miniature reference chart. A great reference right at your fingertips for both students and teachers! This was a fun little gift for my son, so I really can’t speak on it’s performance. I will say that when it arrived, I tried to pull out the periodic table and the little pull piece was lodged in the pen, it took a lot of work to get it unstuck, I almost lost it when it recoiled back into the pen. I wish that quality was better made. But it’s a cute little novelty pen. I would buy more for his scientist friends and coworkers. 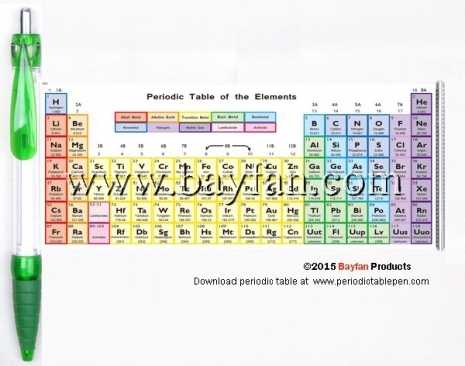 Tired of squinting at the periodic table on your classroom wall? Need to know the atomic number of sodium at odd times? 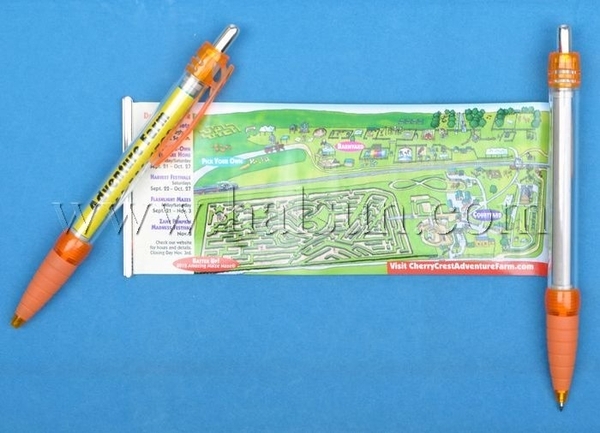 Then this pen with a pullout periodic table is the perfect tool for you. This rubberized grip ballpoint pen hides a roll-out periodic table sized up to 168*68MM. 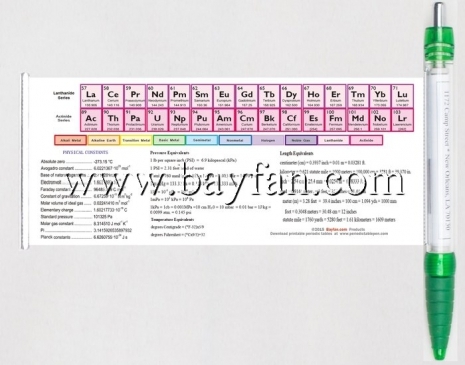 Unlike other finished products with fix periodic table of elements, Bayfan periodic table pens use newest version of periodic table of elements, current is 2015 new version. The periodic table of elements can also be customized to add your company, lab or school name on it. Or even a totoal new customized artwork of periodic table with your favorite color and style. 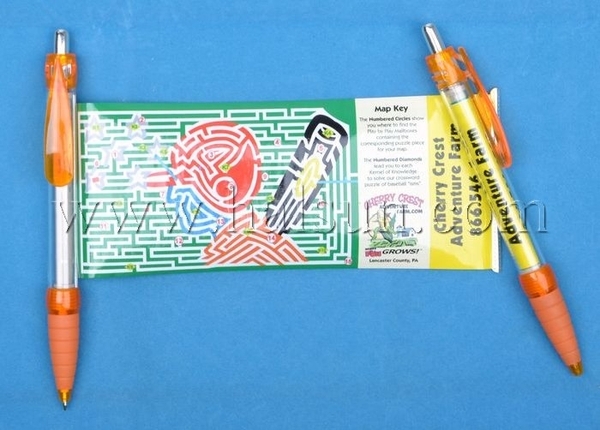 Check our periodic table pens artwork design instruction. 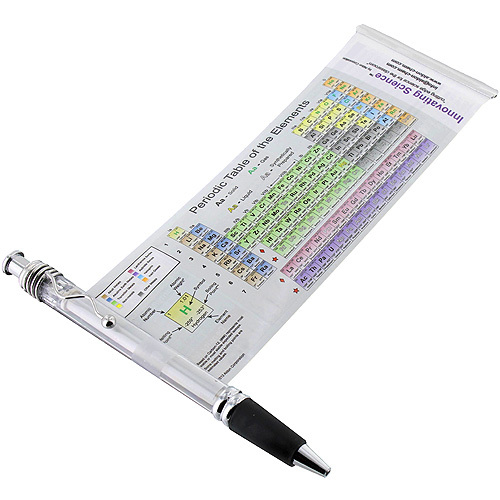 Keep the periodic table close at hand with the periodic table pen. 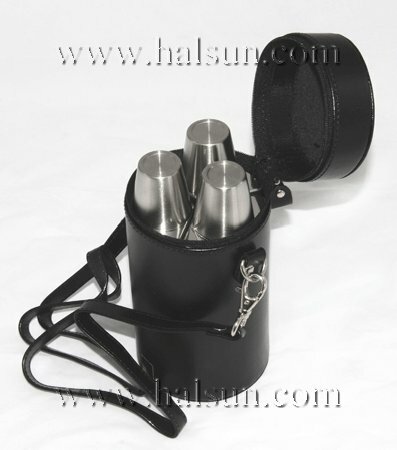 Table pulls out from pen and neatly rolls back into the barrel once your curiosity is satisfied. Elements, their melting points, boiling points, and atomic masses are printed on the front. This Innovating Science Pen has enclosed periodic miniature charts for fingertip ease of looking up elements, and is double-sided to depict a periodic table on the front and on the back for detailed study. The charts are colored-coded to distinguish between metals, non-metals, and noble gas families, and differentiate types of metals, solids, liquids, and gases from synthetic elements. Each also includes name, symbol, atomic number, weight, mass, and electron configuration for further detail. 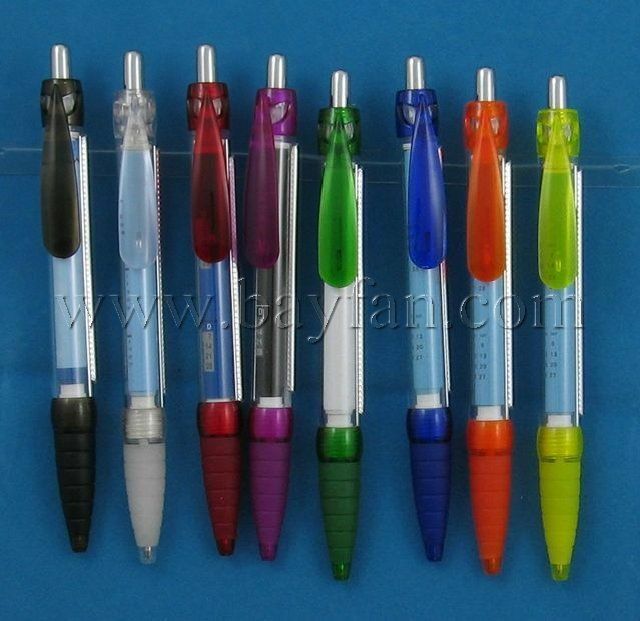 The pen is suitable for age 13 and older. Back side of rolled out periodic table pens with 2015 newest periodic table of elements version. You custom logo can be combined into the pull out periodic table. 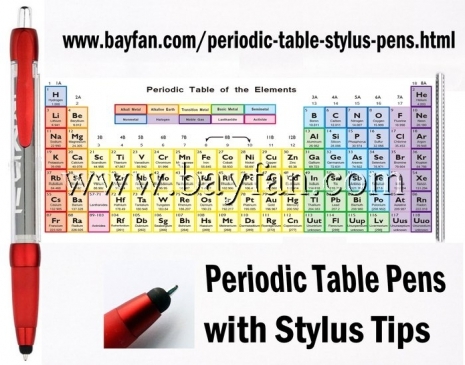 A video demo of how the periodic table pens works (Similar pen in the vidieo only different in pen style and don’t have stylus function). If you have trouble to see video, you open in an direct link at here. 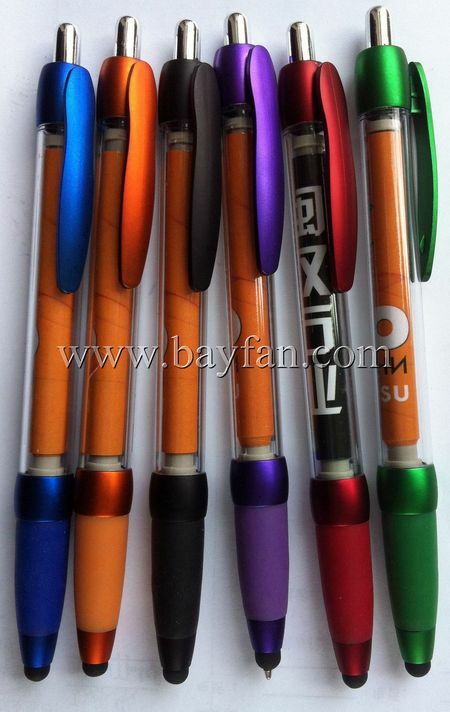 We also have an upgrade version of periodic table pens with stylus to work on ipad/iphone/Android phone/Surface. Double sided with periodic table both on front and on back. With stylus tip, works on Ipad, Iphone 6 Iphone 6 Plus, Android mobile phones, tablets, or any capacitive touchscreen devices. Order your customized periodic table stylus pens at bayfan.com! Delivery time will 4 weeks to your door by courier like DHL/Fedex/UPS/TNT. If you are in hurry, we also offer 15-days urgent delivery service.